Kilkenny city has stood for more than a thousand years and has seen many changes in power over the centuries. In the 1640's it was actually Ireland’s unofficial capital complete with its own parliament until Oliver Cromwell led a siege upon the city in 1650. Today, Kilkenny is a beautifully preserved medieval city that also pushes Ireland towards a better future with its focus on pioneering the world of design. So, whether you’re looking for a slice of history, a great atmosphere, or simply to see something you can’t find anywhere else, then Kilkenny is the place for you! A Segway is a two-wheeled, self-balancing, battery-powered electric vehicle. The Segway’s speed, range and maneuverability ensures riders have an amazing and unforgettable experience. The Segway allows a rider to easily move throughout the city’s paths, roads, bike lanes, and back streets. It transforms a standard tour into an exhilarating experience by allowing the rider to get up close and personal with sights and points of interest. IMPORTANT Please view the rider requirements and restrictions on our FAQ page before you book the tour. Below are some of the attractions and sights you will visit and what you can expect to experience from this tour. Please contact us if you have a group larger than 5 so that we can try to accomodate you. ARRIVAL TIME Please Arrive at Least 20 mins Before the Tour Starts. Comfortable, closed shoes are preferable to sandals and high heels in order to get the most enjoyable Segway experience out of your tour. Enjoy the tour of KIlkenny. Great tour, fun and interesting. 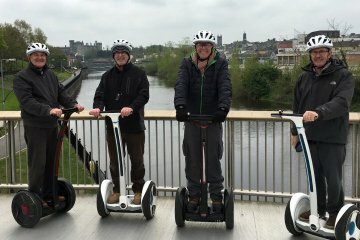 I went on this tour around Kilkenny City. I would really recommend it as it’s both fun and interesting. The segway’s were all new and safety gear and instructions were very carefully given by our tour guide Michael. 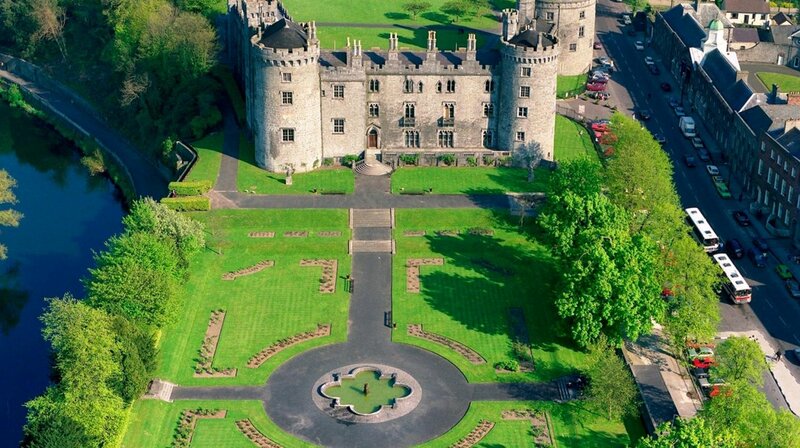 It’s a great way to find all the hidden gems of Kilkenny City and also learning about the history as trying to find them on foot would take quite some time. No availability for the day that you've chosen? Don't discourage, call us and together we'll find a solution. Note: Online bookings must be made at least 3 hours in advance, last minute bookings are accepted by phone.